Super moment passé en compagnie de Sean notre moniteur : dynamique, fort sympathique et donnant les explications avec beaucoup d'humour ! Je recommancde !  The Miami Bike and Roll customer service was lousy. We were asked to re-confirm our trip by phone - only to be left for a voice mail. Naturally we were afraid that out tickets would be cancelled. We turned up for our trip and our guide was super and very knowledgeable about the various sights of Miami and Little Havana. Shawn was amazing! We had such a great time and he was so flexible with us. Would highly recommend. You get a lot of bang for your buck! Our guide Sean was very informative and told us all about the history of the city of Miami. The food was great!! We had wonderful time. Our guide Carolina was great and ensured we were all OK throughout the tour. Small group of 5. What we hadn't appreciated was how much food we would eat! First stopping at Cuban restaurant for savoury lunch then a bakery then a fruit shop for sugarcane drink. All totally delicious. Also visited a ship selling Cuban shirts and another for cigars. The bikes were good and the ride easy. Took approx 3.45 hrs. Highly recommended. Caesar was the best guide ever! He has first hand experience in Little Havana and gave us a well rounded tour. The bike ride was easy and without hills. Die Tour war erstklassig organisiert. Für jeden, der Land und Leute hautnah erleben möchte ein toller Ausflug. My girlfriend and me had our own tourguide who did a really good job! For her 20 years she really impressed us with the knowledge and off course the food which was just more than delicious! We also had the chance to visit a cuban cigar manufacturer and had a Cuban Mojito our decision - so we paid for it. Great concept but needed more information from the tour guide. Have to say that Laura, the trainee guide will be excellent when she's ready to go on her own. She has a real way with people and we appreciated her caring nature. We didn't get any information until we arrived at the destination i.e. as we were riding along we should have been getting details of what we were seeing. It was disappointing in that respect. Loved the Ball and Chain bar music. That was the sort of thing we expected more of. Tiago was an excellent host. His knowledge of the city, Little Havana, the culture and the food was outstanding. The ride was easy, not long and not strenuous. The bikes were in great shape. We stopped frequently so Tiago could explain about areas and their significance. 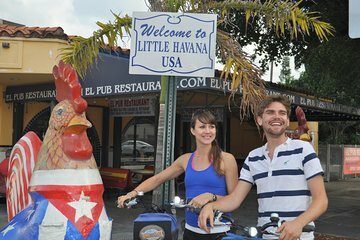 We rode to Little Havana were we had out picture take by the Rooster, and then on to sample food and walk around Little Havana. The food was excellent. Tiago was able to explain the significance of each dish and how to eat it like a native. We left Little Havana with smiles on our faces and full bellies. If you like food and are interested in the history and culture of Little Havana you cannot miss with this tour and Tiago.